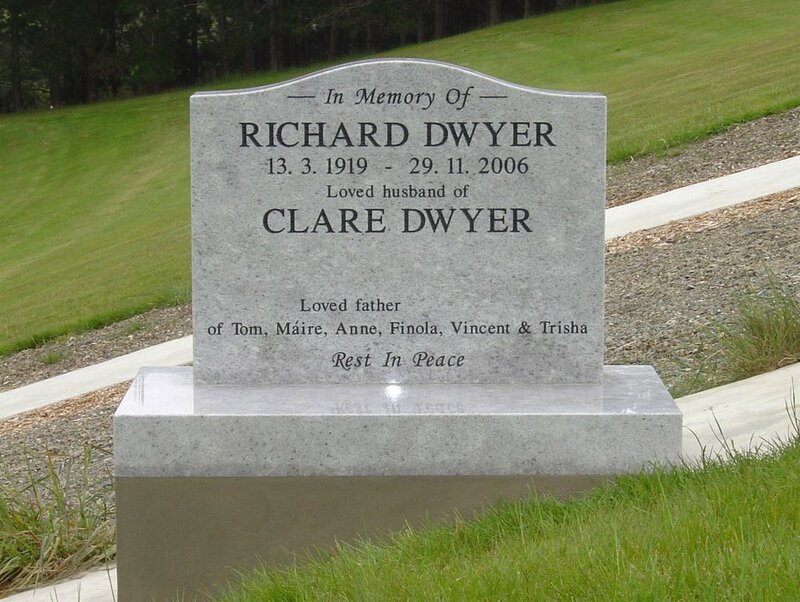 We have an extensive range of headstone & plaque designs, plus over 40 regular Granite colours available to our families. 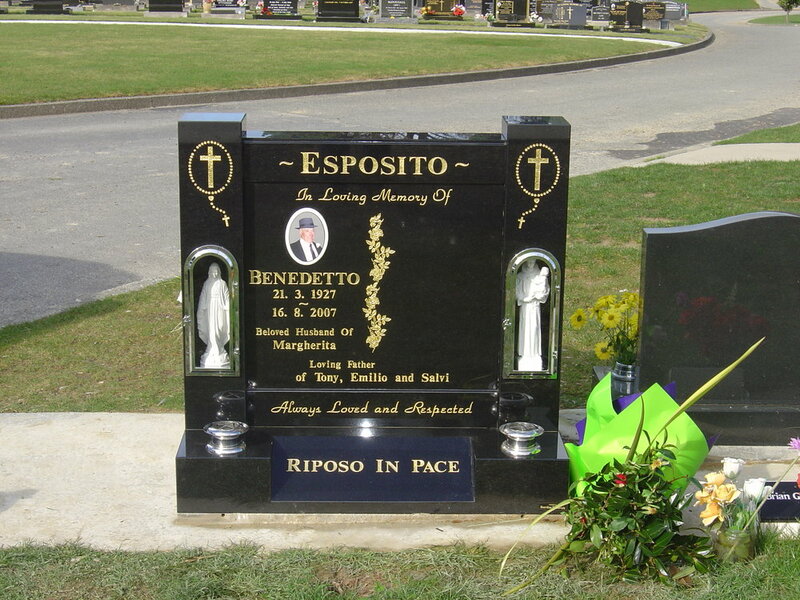 We love to create unique monuments that have special meaning to you, your family and your loved one and can translate any designs or images onto granite for you. We will meet with you to discuss your ideas, requirements and and together we can create something with personal meaning. 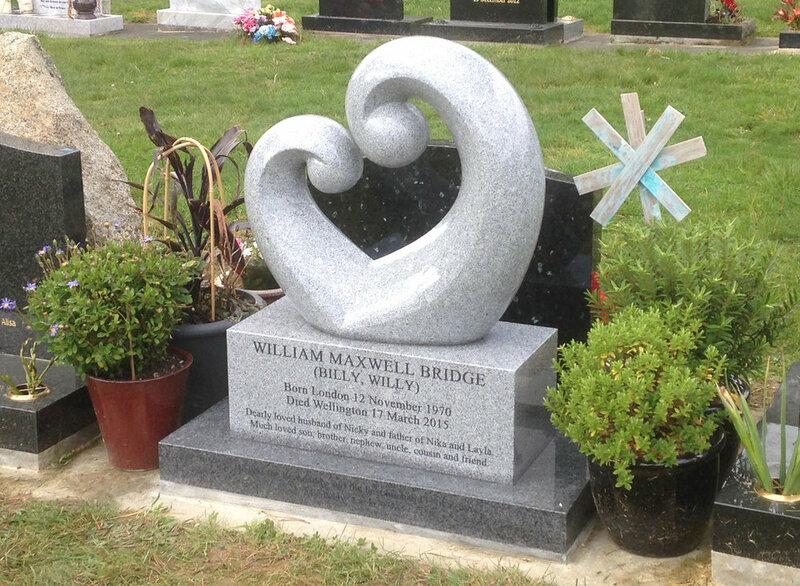 Often the family arranging the monument is not in Wellington and therefore we manage the communication via email and/or telephone. 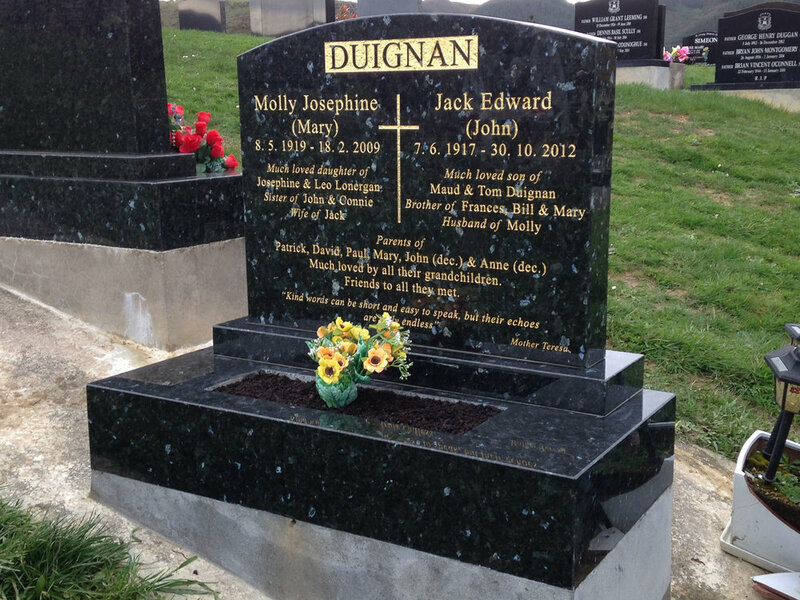 With modern technology, techniques and training we can create unique headstones and plaques and can translate any designs or images onto granite for you. 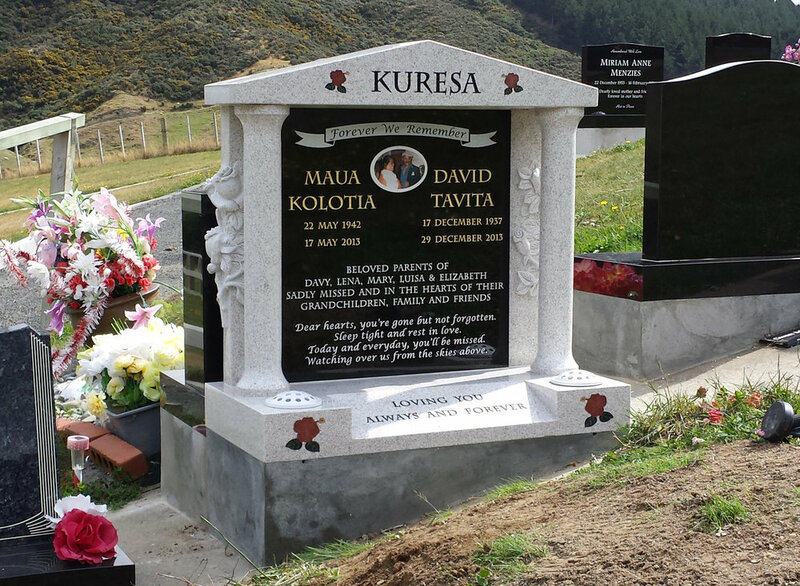 These projects take time and planning, and are particularly special as these designs will almost always incorporate a special meaning for your loved one. 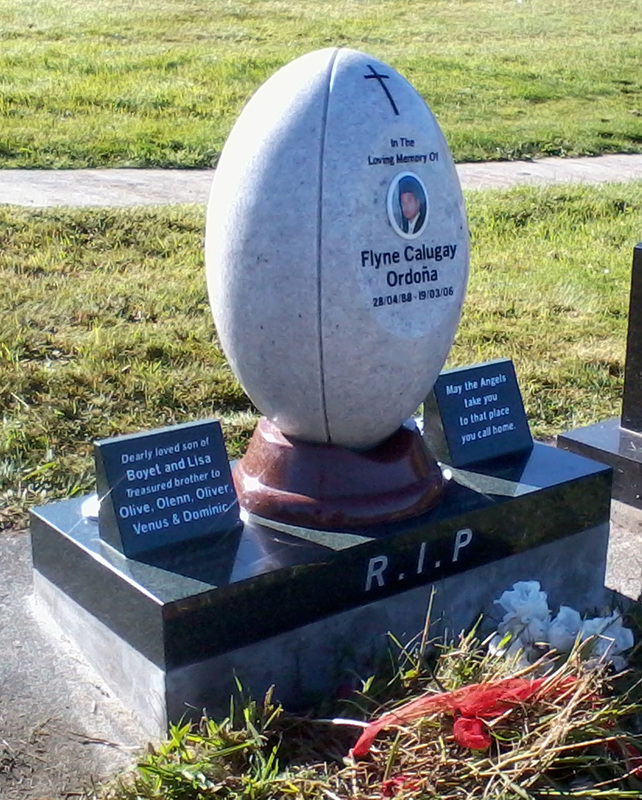 We will meet with you to discuss your thoughts and together create a monument that is unique and symbolises the personality and spirit of your loved one. 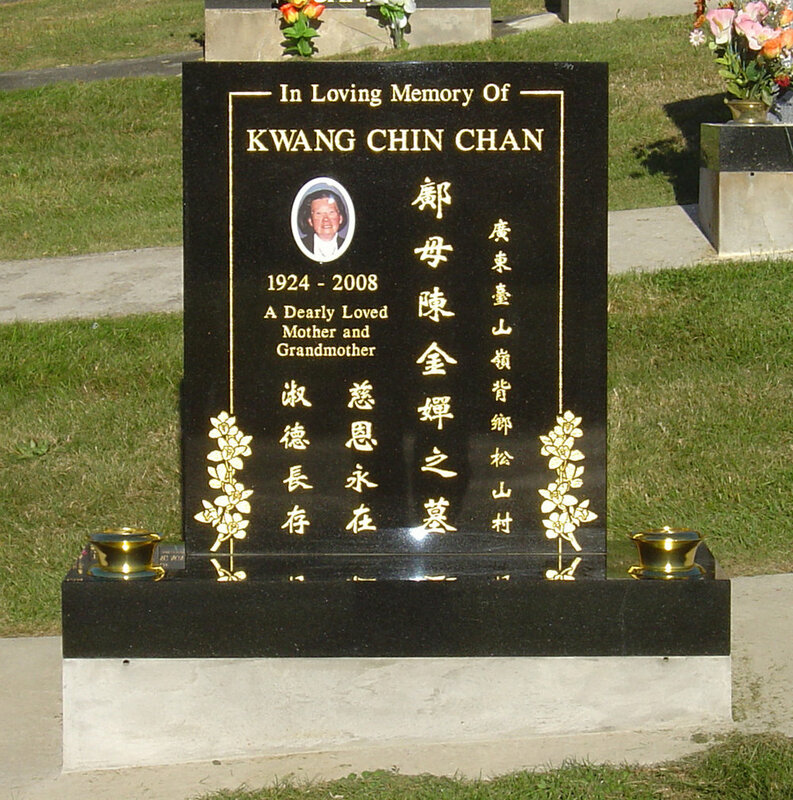 Plaques are very popular memorial choice and are used in many places throughout a cemetery. 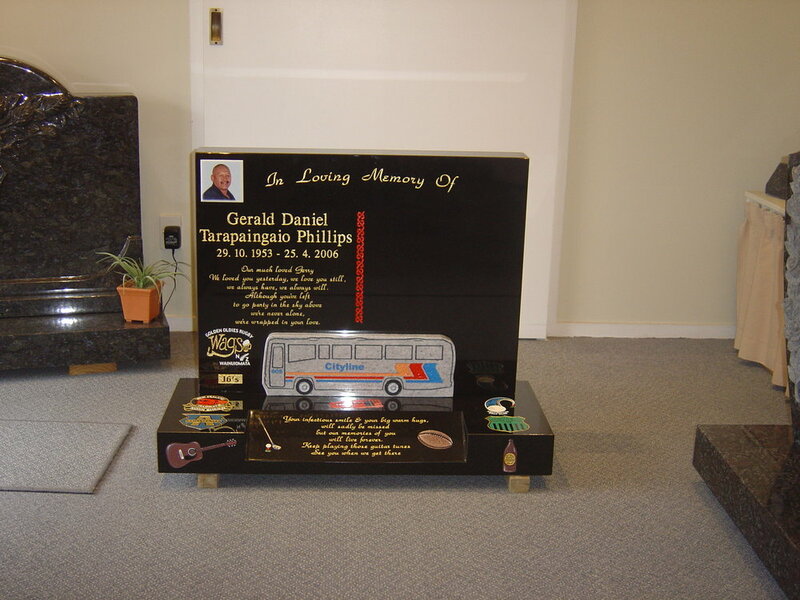 They can be either elaborate & personalised or as simple as you like. 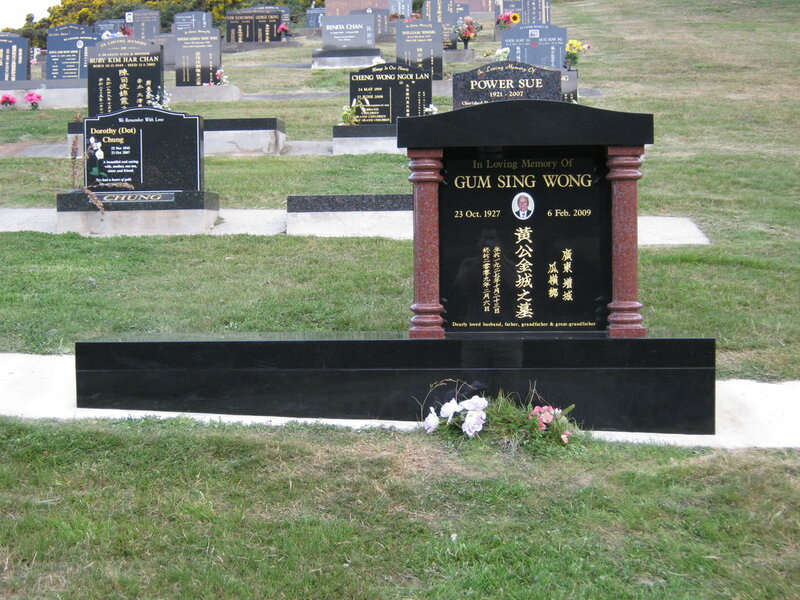 We can manufacture any size and shape, while taking into consideration any cemetery regulations and your wishes. 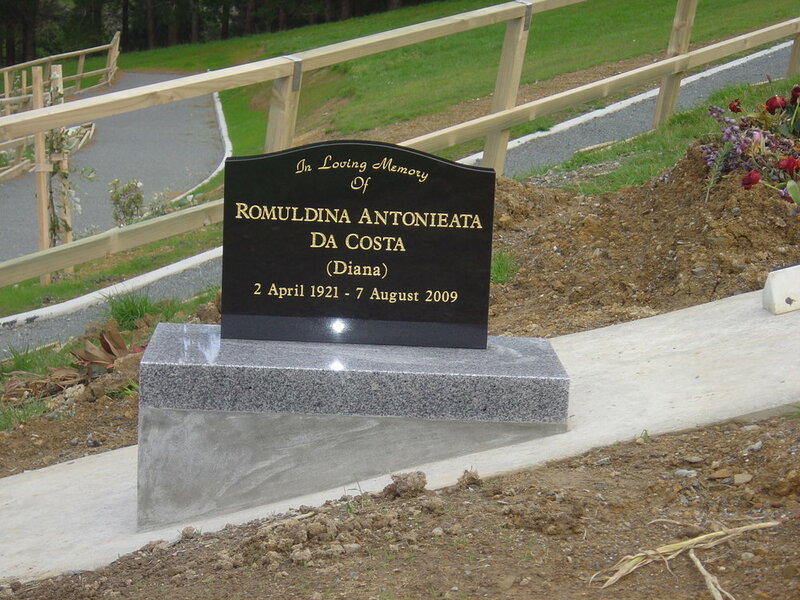 The challenge with designing a plaque is the size which can restrict the amount of wording, photo's and pictures you can fit on it, however as part of our work it's a focus to ensure all the information that's important to you is on the plaque. 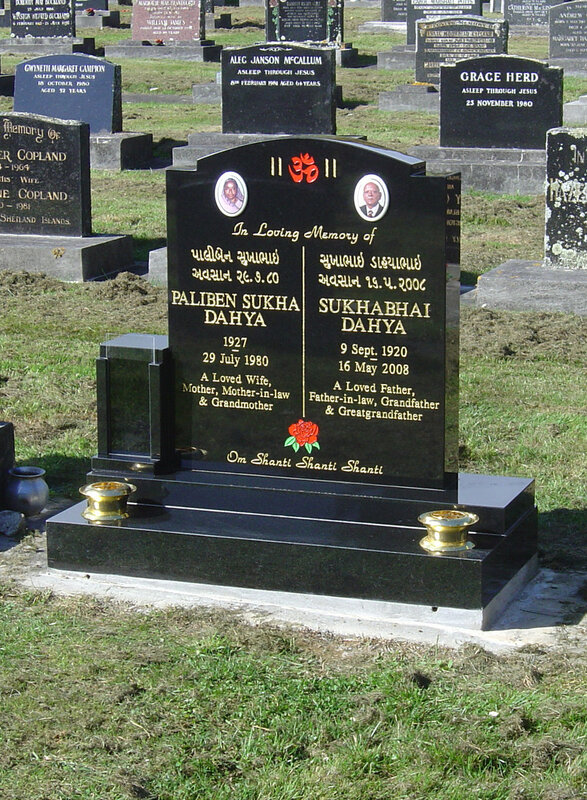 We work with you and show you samples to make the decision as easy as possible.